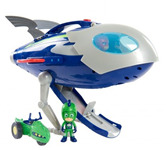 Supercharge your toddler’s need for speed and controlling things with this chunky, 2-in-1 radio-controlled vehicle. An easy-to-use wireless controller sends this red and orange sports car racing forwards or backwards. Kids can race the vehicle over obstacles to make it flip over and reveal the blue and green race car design on the other side. 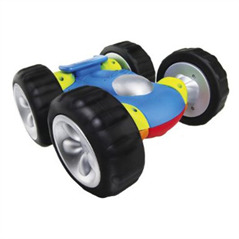 Racer features a soft, squishy body and oversized rubber tires, which means kids can take this speedster for a spin without hurting your walls, feet and floors. We simply love this remote-control Tonka racer for your little nephew. 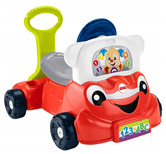 He can play with it indoors - and flip it over for a whole new experience because it's two cars in one and double the fun!